If you’re looking for a creative and unique setting for an upcoming event, Timber Lake West is exactly what you are looking for. 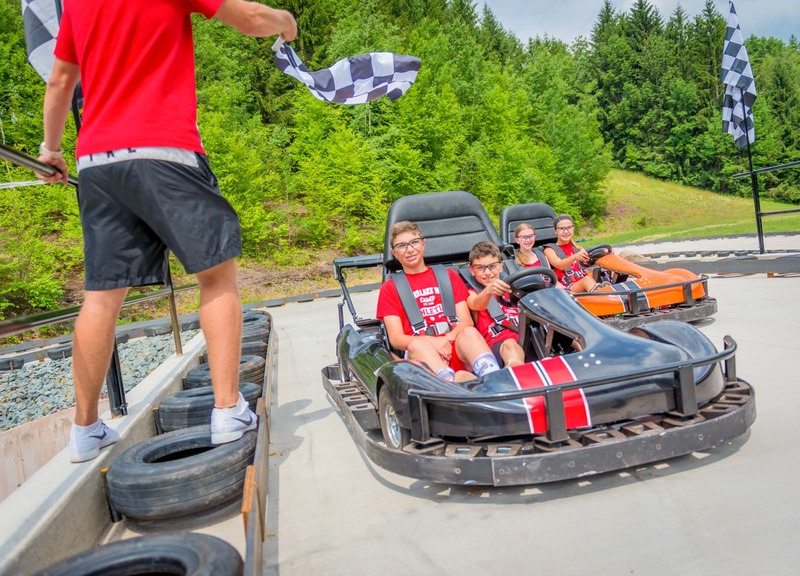 Whether planning a first-time event or one with a long tradition, Timber Lake West is a great way to give all of your guests the gift of summer camp for a few hours, a weekend, or a more extended stay. Not only are there endless action-packed activities at Timber Lake West, but when you’re looking to relax, you can take a deep breath and look no further than the surrounding backdrop of the Catskill Mountains and our spring-fed lakes to help you relax. Our campus is located in the Catskill Mountains region of New York state and is ideal for any event, party, or retreat. We offer private space and facilities including athletic fields, indoor meeting/assembly space, nature trails, shimmering lakes, and more. We are available for events on weekdays and weekends in late May, early June, late August, all of September, and the first week in October. No matter what type of meals you want served at your event, our on-campus catering service will be there to make sure arranging delectable food for your event is hassle-free. We have hosted meals ranging from formal corporate banquet dinners to our signature casual and fun outdoor barbecues. All of the private events we host receive support from one of our devoted event planners throughout the year leading up to their event. Your event liaison will ensure that all of your questions are answered promptly and that you know all of the options you have to get the most out of our campus and all of our services. Although we welcome non-overnight groups and events, we are best suited for multi-day, overnight groups. This allows guests the opportunity to enjoy the full range of our facilities. We can host groups as large as 400 guests. To learn more about hosting a private event at Timber Lake West or to schedule a tour, please contact our private events liaison, at 516.656.4210 or via e-mail at info@timberlakewest.com, or fill out our Contact Us form. We will be in touch right away!